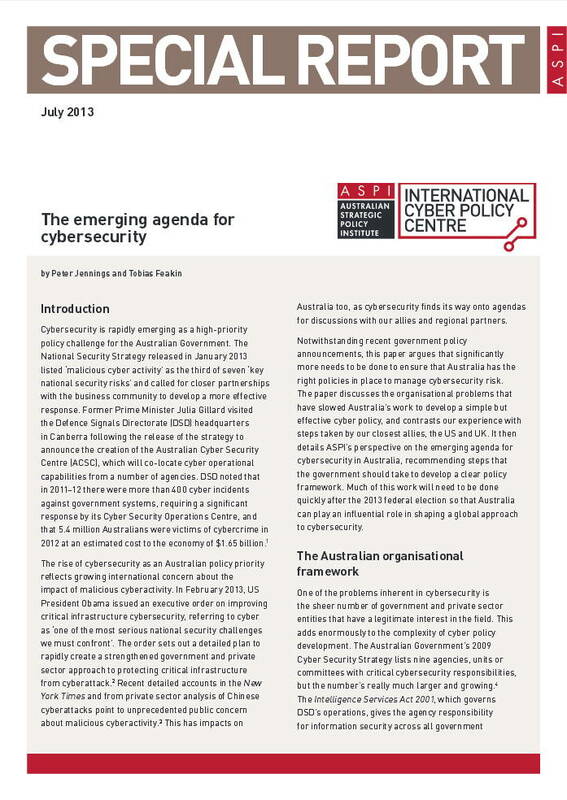 Cybersecurity is rapidly emerging as a high-priority policy challenge for the Australian Government. The National Security Strategy released in January 2013 listed ‘malicious cyber activity’ as the third of seven ‘key national security risks’ and called for closer partnerships with the business community to develop a more effective response. Former Prime Minister Julia Gillard visited the Defence Signals Directorate (DSD) headquarters in Canberra following the release of the strategy to announce the creation of the Australian Cyber Security Centre (ACSC), which will co-locate cyber operational capabilities from a number of agencies. DSD noted that in 2011–12 there were more than 400 cyber incidents against government systems, requiring a significant response by its Cyber Security Operations Centre, and that 5.4 million Australians were victims of cybercrime in 2012 at an estimated cost to the economy of $1.65 billion. 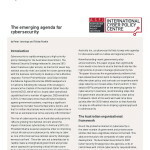 Posted in Asia Pacific, Business Intelligence, Cloud Computing, Communications, eGovernment, Federal, Information, Security, Web 2.0 and tagged ACSC, ASPI, Australian Cyber Security Centre, Australian Government, Canberra, cyber crime, cyber operational capabilities, cyber security, Cyber Security Operations Centre, cybercrime, cybersecurity, Defence Signals Directorate, DSD, government systems, high-priority policy, malicious cyber activity, national security risks, National Security Strategy.